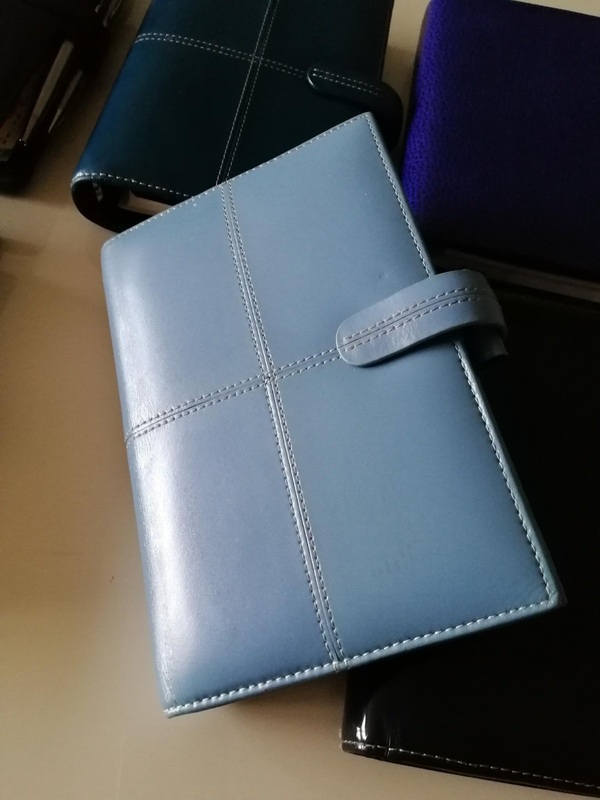 My favourite colour is blue, so naturally a filofax in this colour is going to appeal, especially when there are so many wonderful shades of blue. I have put together some blue personal size filofax from my collection and pictured them below. 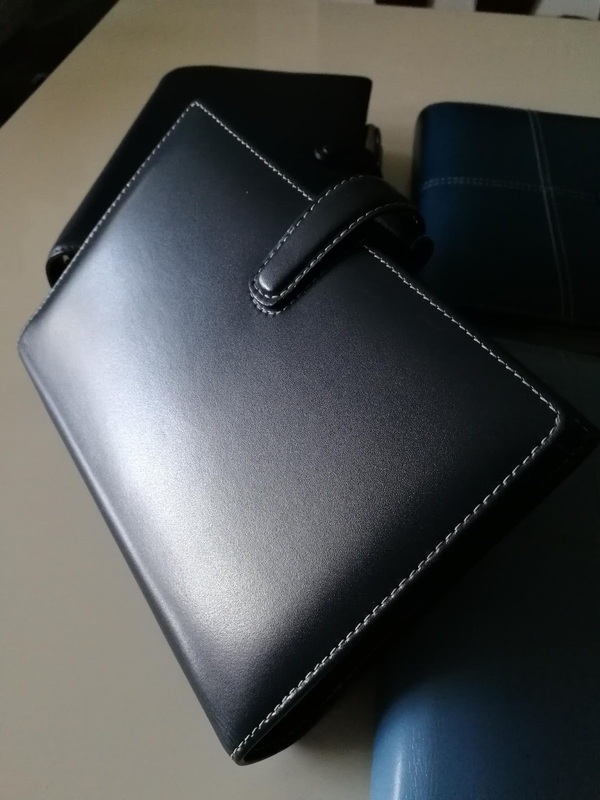 There is a Navy Cavendish, Teal Cross, Electric blue Finsbury, ink Cuban, Pale blue Cross and a Navy Soho. 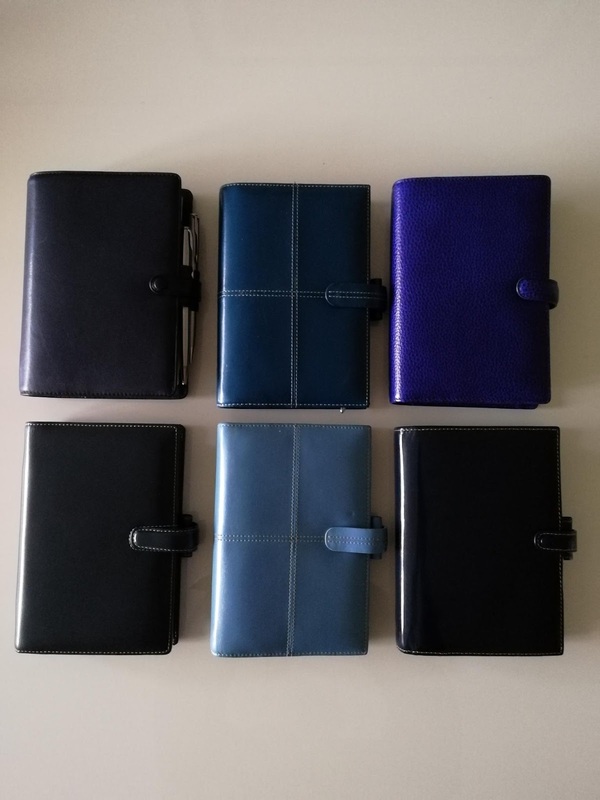 I know what you are thinking, that Finsbury is purple and yes you are correct, however filofax named it "Electric Blue".